Go bid! on Edmonton Home + Garden Show #PalletChallenge projects! 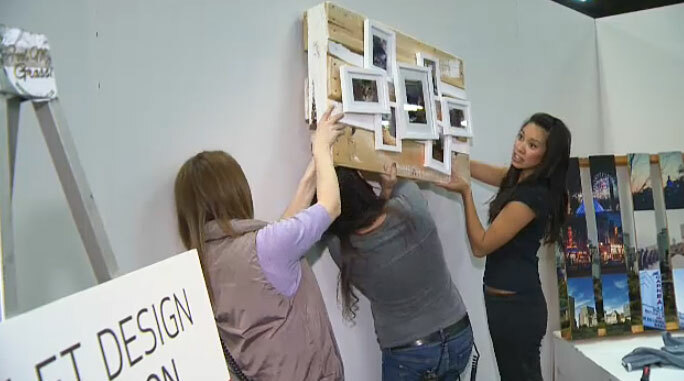 The Edmonton Home + Garden Show kicked off last night and runs until Sunday. As I first posted about at the beginning of the month, I was asked to compete in a #PalletChallenge for the show. Myself and five other wonderful Edmontonians were asked to take three wooden pallets and turn it into something to be put on display at the Home + Garden Show. The projects are part of a silent auction where all proceeds will go to support the Ronald McDonald House Northern Alberta. This is how it looks at the Edmonton Home + Garden Show! 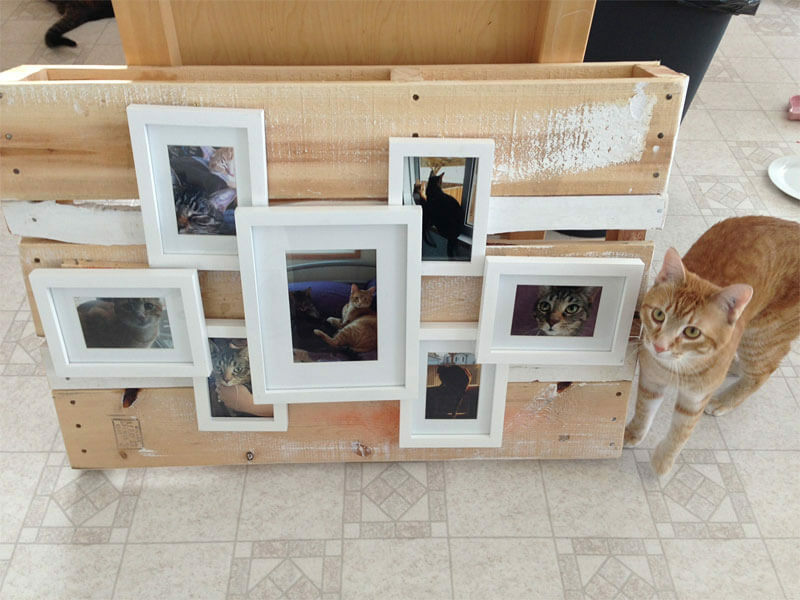 Thanks to these ladies for setting up my Wooden Pallet Cat Picture Frames at the Edmonton Home + Garden Show! 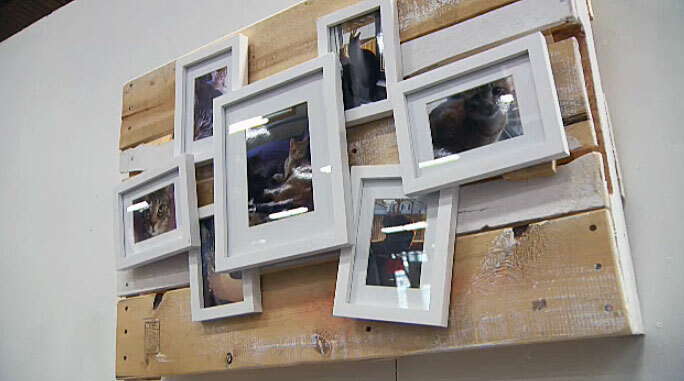 My Wooden Pallet Cat Picture Frames hung up at the Edmonton Home + Garden Show! Obviously you can change out the cat pictures ;) But I wanted to incorporate my love for my cats in someway in this project thus there you go. I really hope it gets at least one bid, lol. Let’s remember – money raised goes to a great cause!! Please head out to the show sometime this weekend, check out what it has to offer and also stop by the Pallet Challenge silent auction area. The other projects are amazing… Here’s a look at what Erin put together (can you believe it?!?) My jaw dropped! 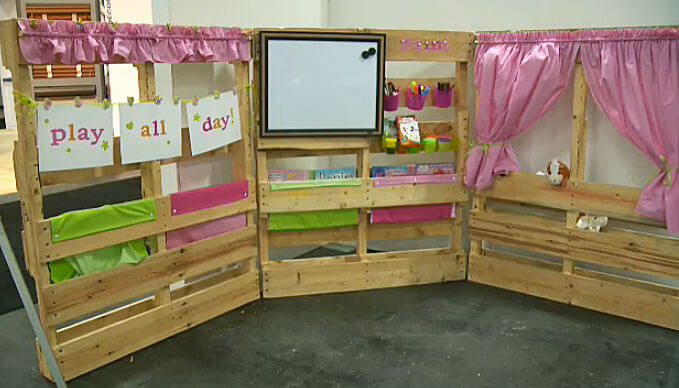 Erin’s AMAZING kids play area made out of wooden pallets for the Edmonton Home + Garden Show!